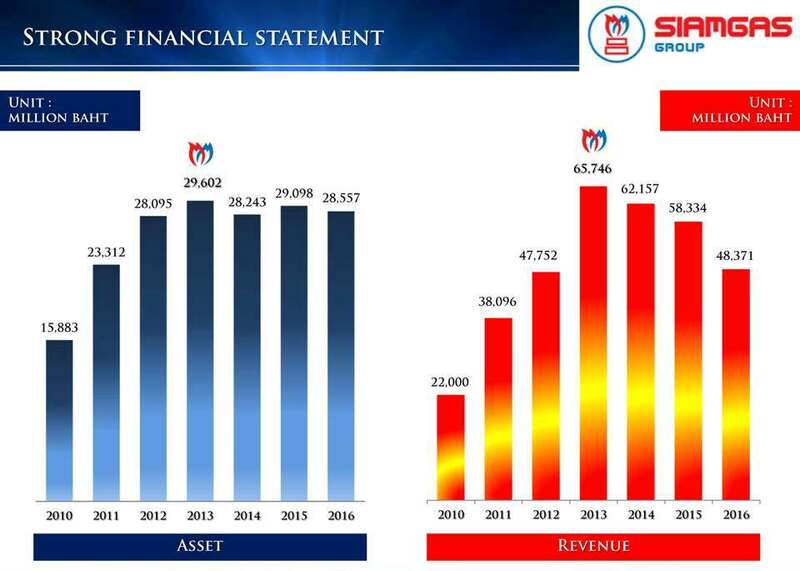 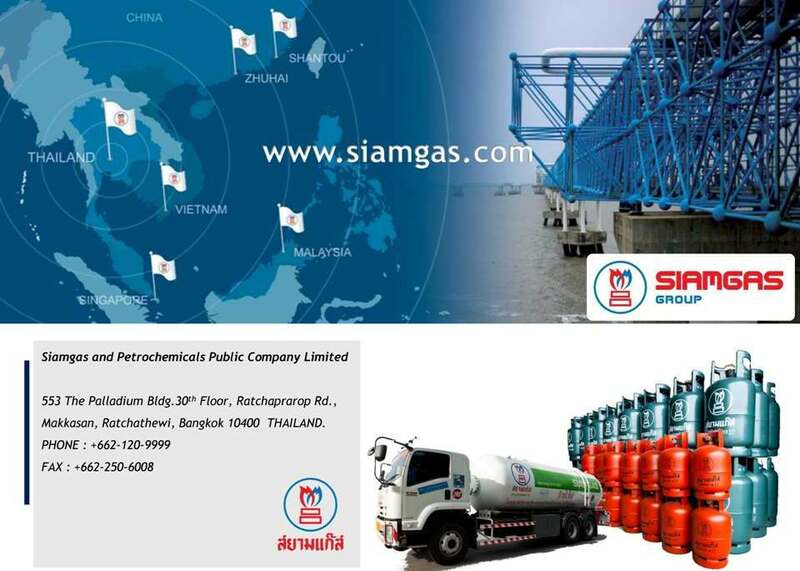 Siamgas and Petrochemicals PCL. 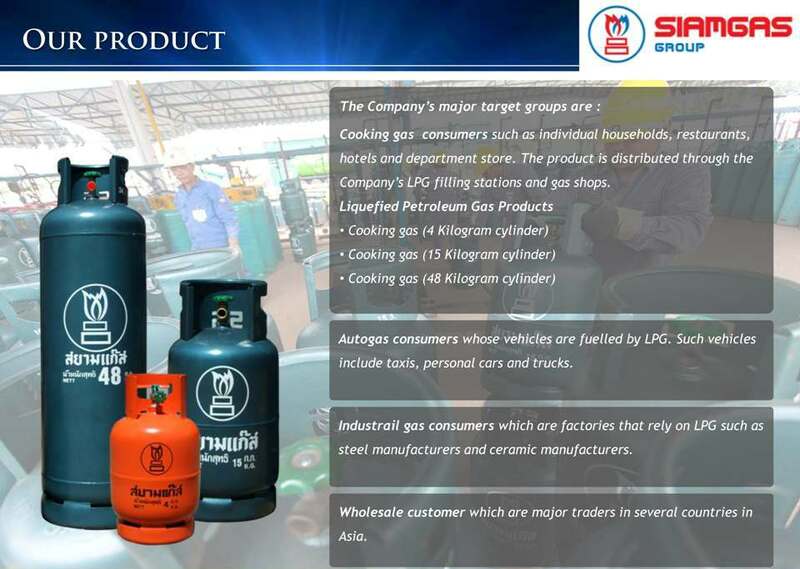 is a leading LPG distributor in Thailand and East Asia. 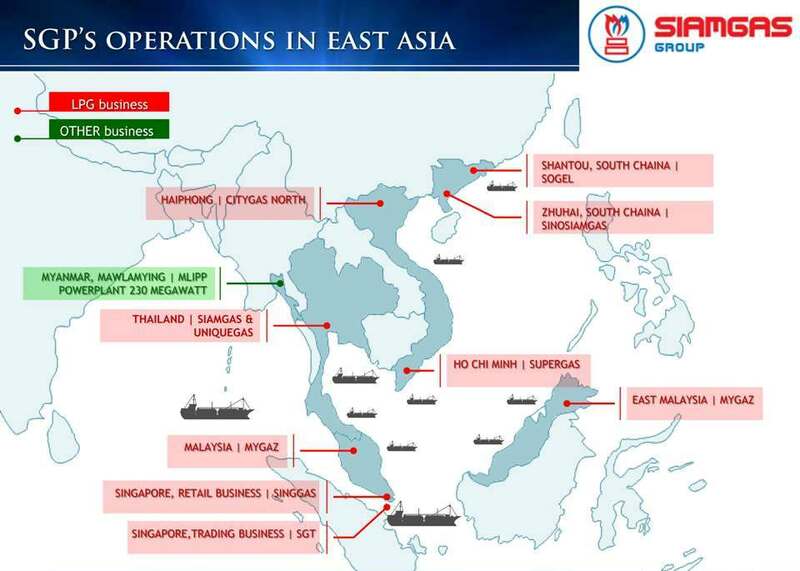 The company operates in five countries which are Thailand, China, Singapore, Malaysia, and Vietnam. 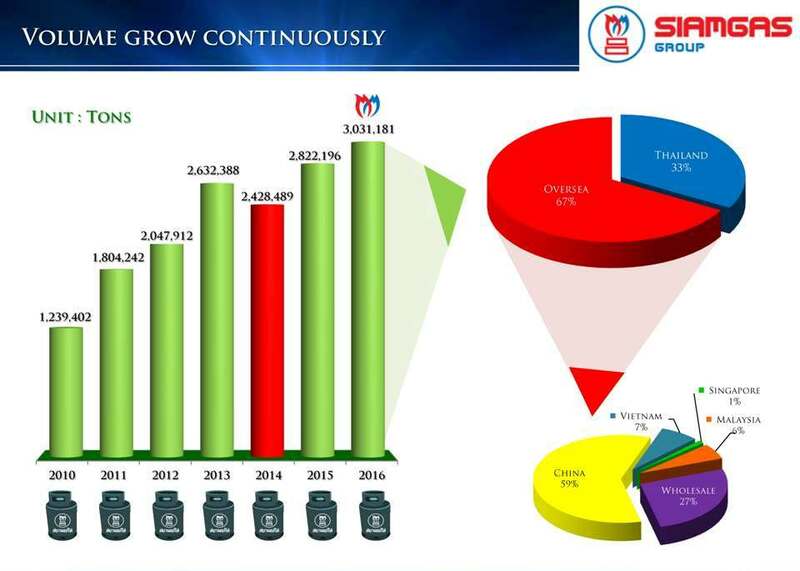 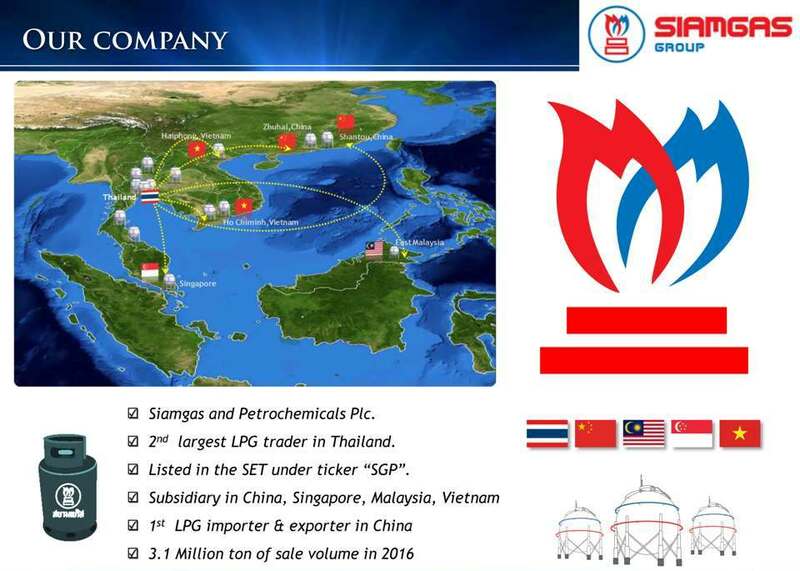 In Thailand, the company is thailand’s second largest LPG trader and sell LPG under two brands which are “SIAMGAS” and “UNIQUEGAS” the company has three core businesses which are LPG and Petrochemical trading, LPG and Petrochemical transportation, and LPG cylinder and autogas tank manufacturer. 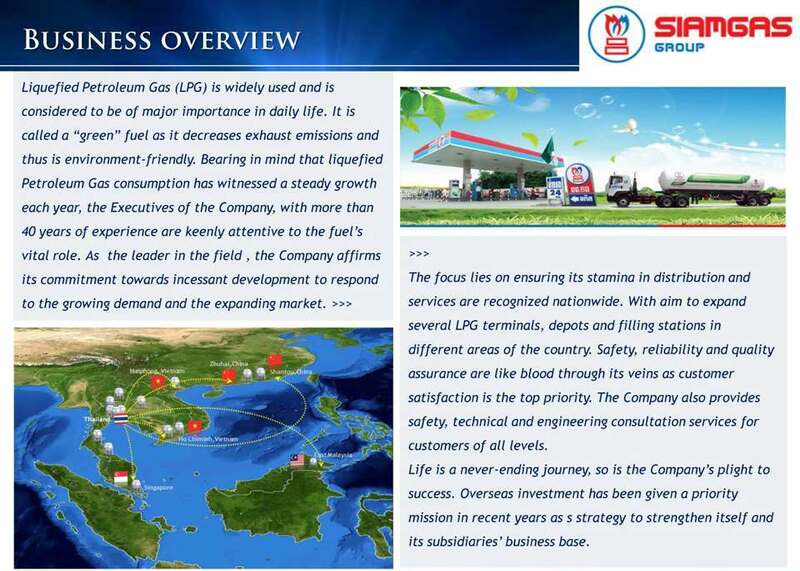 For oversea operation, the company sell LPG in bulk and in retail under several brands which are “SGGAS”, “SINGGAS”, and “MYGAZ”. 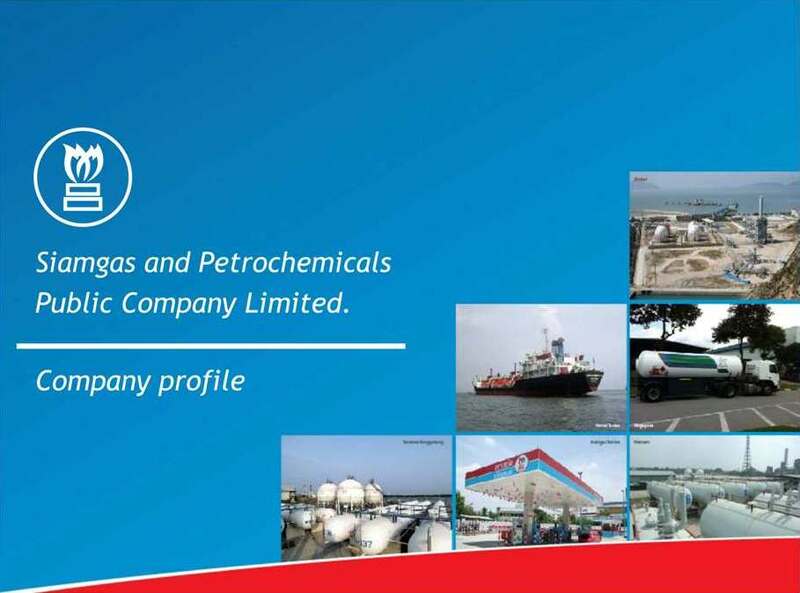 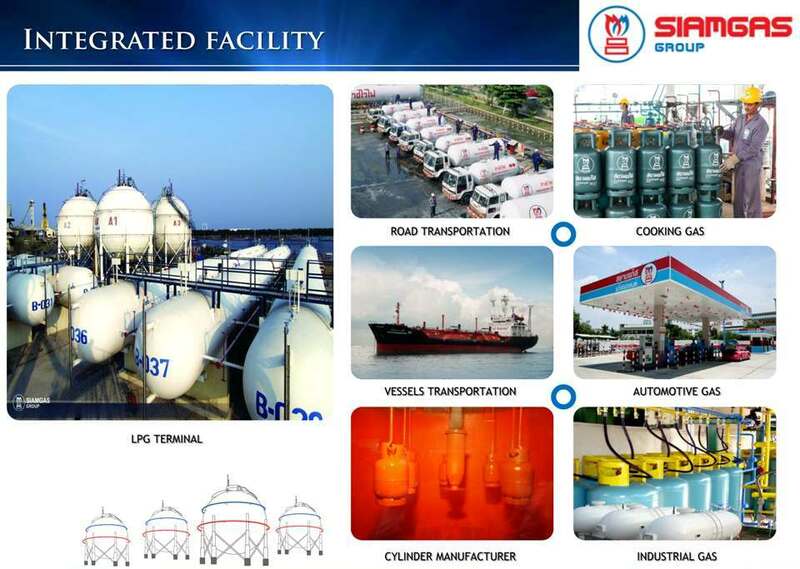 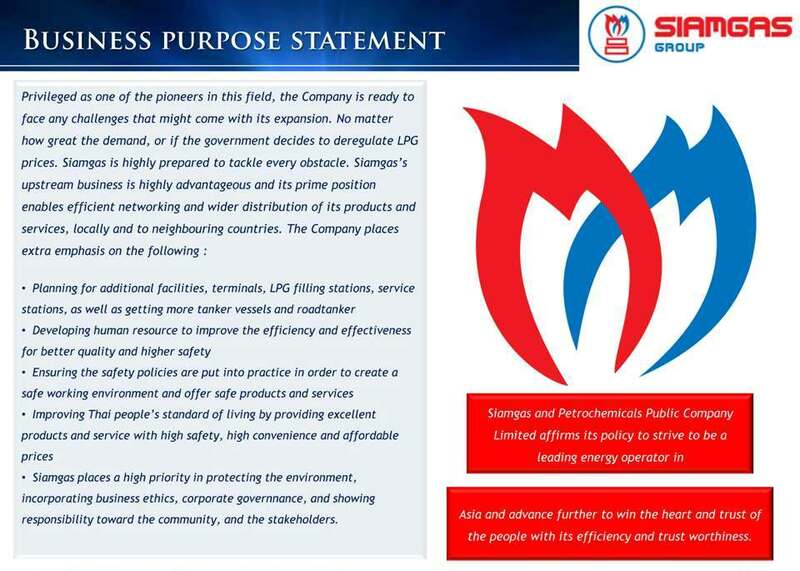 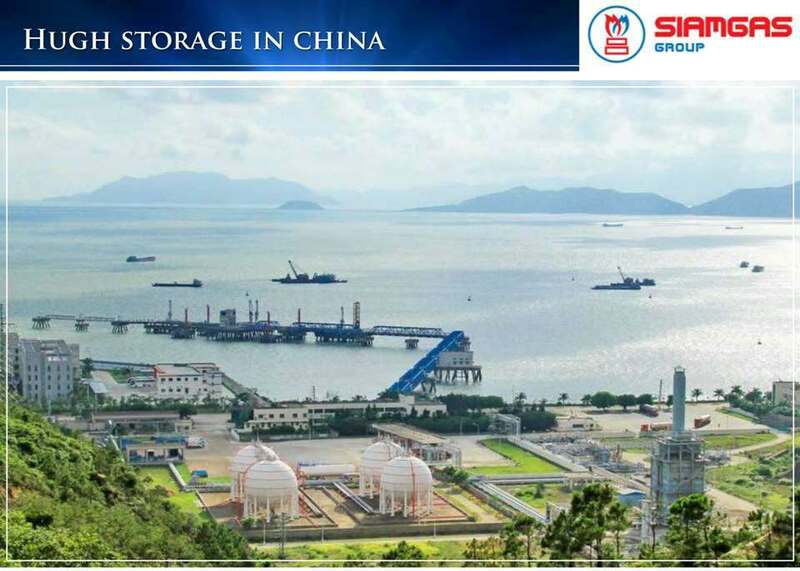 On 30 june 2014, siamgas and petrochemicals plc signed a six-month lpg sale agreement with liquigaz philippines corporation, the second-largest lpg retailer in the phillippines, for 180,000 tonnes. 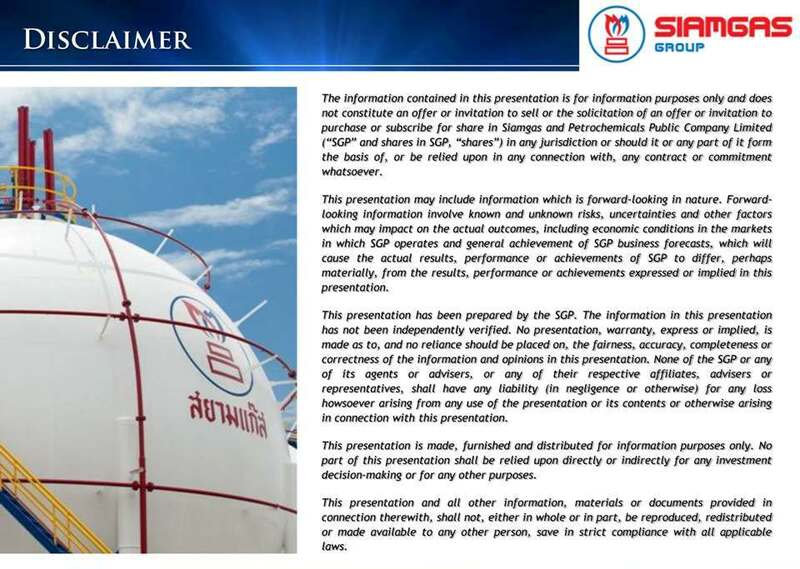 On 21 june 2014, the management and staff of siamgas and petrochemicals plc has participated in the opening ceremony of village natural water supply in chiangmai. 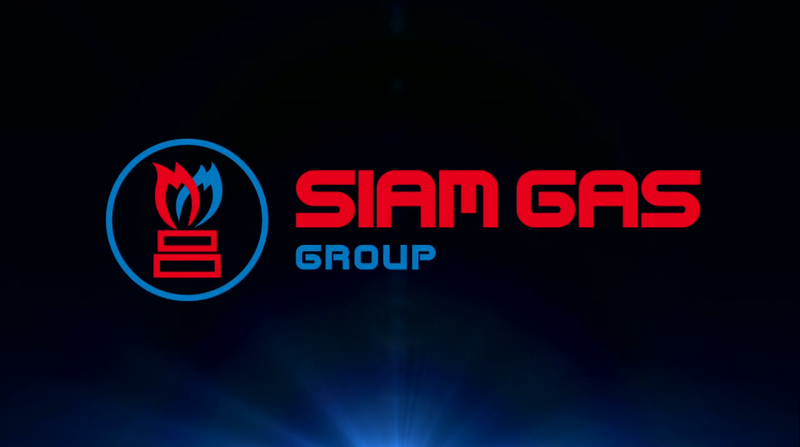 Register as a member to earn smile rewards point.